Docker 1.13 simplifies deployment of composed application to a swarm (mode) cluster. And you can do it without creating a new dab (Distribution Application Bundle) file, but just using familiar and well-known docker-compose.yml syntax (with some additions) and --compose-file option. Docker Engine 1.12 introduced a new swarm mode for natively managing a cluster of Docker Engines called a swarm. 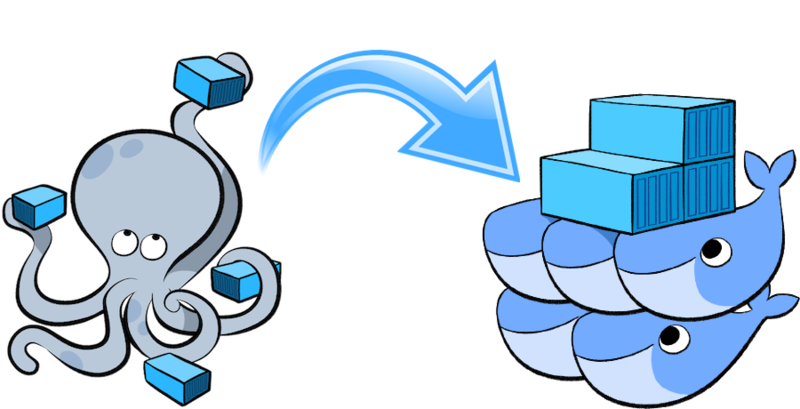 Docker swarm mode implements Raft Consensus Algorithm and does not require using external key value store anymore, such as Consul or etcd. If you want to run a swarm cluster on a developer’s machine, there are several options. The first option and most widely known, is to use a docker-machine tool with some virtual driver (Virtualbox, Parallels or other). But, in this post I will use another approach: using docker-in-docker Docker image with Docker for Mac, see more details in my Docker Swarm cluster with docker-in-docker on MacOS post. When you deploy a new service on local swarm cluster, I recommend to setup local Docker registry mirror and run all swarm nodes with --registry-mirror option, pointing to local Docker registry. By running a local Docker registry mirror, you can keep most of the redundant image fetch traffic on your local network and speedup service deployment. I’ve prepared a shell script to bootstrap 4 nodes swarm cluster with Docker registry mirror and very nice swarm visualizer application. The script initialize docker engine as a swarm master, then starts 3 new docker-in-docker containers and join them to the swarm cluster as worker nodes. All worker nodes run with --registry-mirror option. The Docker compose is a tool (and deployment specification format) for defining and running composed multi-container Docker applications. Before Docker 1.12, you could use docker-compose tool to deploy such applications to a swarm cluster. With 1.12 release, it’s not possible anymore: docker-compose can deploy your application only on single Docker host. In order to deploy it to a swarm cluster, you need to create a special deployment specification file (also knows as Distribution Application Bundle) in dab format (see more here). The way to create this file, is to run the docker-compose bundle command. The output of this command is a JSON file, that describes multi-container composed application with Docker images referenced by @sha256 instead of tags. Currently dab file format does not support multiple settings from docker-compose.yml and does not allow to use supported options from docker service create command. Such a pity story: the dab bundle format looks promising, but currently is totally useless (at least in Docker 1.12). With Docker 1.13, the “new” way to deploy a multi-container composed application is to use docker-compose.yml again (hurrah!). Kudos to Docker team! So, what’s new in docker compose version 3? First, I suggest you take a deeper look at docker-compose schema. It is an extension of well-known docker-compose format. Note: docker-compose tool (ver. 1.9.0) does not support docker-compose.yaml version: "3" yet. Run the docker deploy --compose-file docker-compose.yml command to deploy my version of “Cats vs. Dogs” application on a swarm cluster. Hope you find this post useful. I look forward to your comments and any questions you have. This is a working draft version. The final post version is published at Codefresh Blog on December 25, 2016.